In India, Navratri is Hindus famous festival celebrated with great joy and reverence. This festival is a joyous way of worshipping Goddess Durga. ‘’Navratri’’ is a Sanskrit word where ‘Nav’ means nine and ‘Ratri’ means nights. This festival is celebrated for 9 nights and 10 days. The last day of this festival is celebrated as ‘Vijaya Dashmi’ or ‘Dussehra’, the day when lord ‘Rama’ won over ‘Ravana’ according to Ramayana. 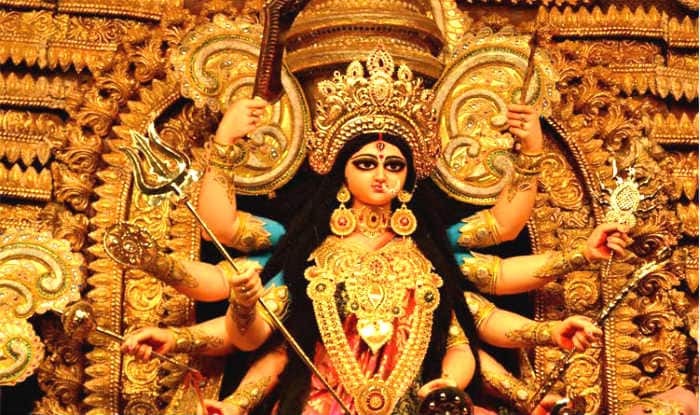 With all rituals, all 9 forms of Durga are worshipped. ‘Goddess Shailputri’ is worshiped on the first day of this festival. The second days is devoted to ‘Goddess Brahmacharin’. The third day is dedicated to ‘Goddess Chandraghanta’. The fourth day is related to the worship of ‘Goddess Kushmandas’. The fifth day is devoted to ‘Goddess Skanda Mata’. On the sixth day ‘Goddess Katyani’ is worshipped. ‘Goddess Kalratri’ and ‘Goddess Maha Gauri’ are worshipped on day seventh and eight respectively. The ninth and tenth day are dedicated to Goddess ‘Siddhidatri’ and ‘Saraswati’. Gupta Navratri’ falls in the month of June/July. These are also known as Gayatri Navratri. ‘Sharad Navratri’ falls in the month of October/November and in the month of Ashwini according to the Hindu calendar. ‘Pausha Navratri’ is celebrated in the month of Pausha according to the Hindu calendar and according to modern calendar it falls in the month of December/January. And the last is ‘Maagha Navratri’ that happens to fall in the month of January/February. Some people fast for all the nine days consuming food only once a day while some eat only fruits and water. 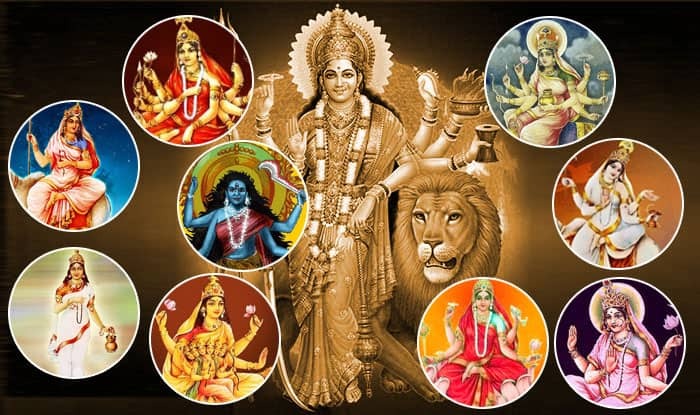 This festival is celebrated with different names across the world like in North India it is celebrated as Navratri where the idols of Goddess Durga are worshipped. Nine small girls are worshipped as the symbolic representation of Goddess Durga which are also called as ‘Kanya punjan’ or ‘Kanjak’. On the 9th day, these girls are worshipped and are offered some gifts and delicious food like halwa, puri and chana. In Bengal, huge pandals are made which are decorated and people visit these ceremonial pandals to worship Goddess Durga. A good number of programs are organized such as folk songs, bhajans etc. and this goes on till nine days. On the 10th day Bengalis submerge the idols of goddess Durga in water. In the state of Maharashtra and Gujarat, a traditional dance form ‘Garba’ is done throughout the nine days of this festival. In this dance form people dance in a circle around the image of Goddess Durga. Dandiya Raas is another dance form done throughout the nine days. This is a dance with two sticks (Dandiyas) and a partner. Rajkot, Jamnagar, Morbi, Ahmedabad, Bhavnagar, Surat, Vadodara, Bharuch, Porbandar and Kutch are some popular destination in Gujarat were special Navratri events are organized every year. Whereas in Maharashtra, Mumbai is considered as the main center of celebration for Navratri. A large number of events are organized and most for these are paid events where you are allowed without entry pass. The Navratri festival is celebrated to mark the expression of Maa Durga in the form of energy.